You never have to worry about being bored in Pittsburgh, regardless of when you visit. That’s because we’re a four-season town: Steelers, Penguins, Pirates and Fireworks. Well, that’s how it seems, anyway. But no matter the weather, there’s always something to occupy your time, from special events to a variety of daily tours. There are few tour options as versatile as the Gateway Clipper cruises (Station Square). They’ve been navigating our three rivers for nearly 60 years. Want to go on a dinner or dancing cruise? No problem. Want to take a sightseeing cruise? No problem. Want a ride to the game without the hassles of North Side parking? No problem. Want to have breakfast with Santa? No problem (as long as it’s select weekends in December). If you can stand water only in small doses, hop on an amphibious Just Ducky Tour (Station Square). Also, we believe it’s an actual city law that the first time you come to Pittsburgh, you must ride one of our two iconic inclines — the Duquesne or the Monongahela, which lift you from near the river to Mount Washington, where you can catch a great view of the city and maybe even a drink and a meal. 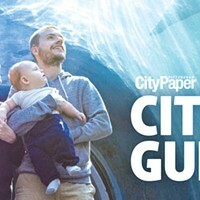 Pittsburgh’s art scene is flourishing, and some of its best attributes are discussed elsewhere in this guide. 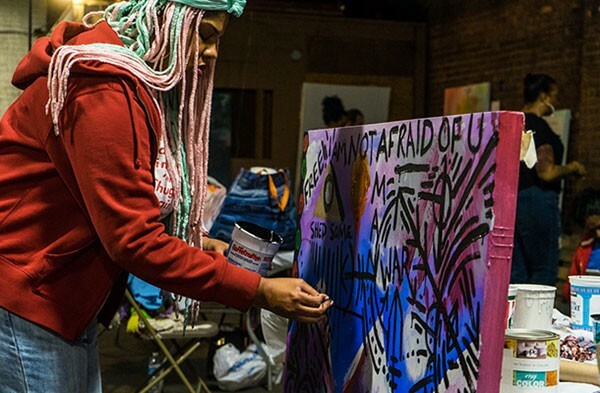 But four times a year, the Pittsburgh Cultural Trust holds a free Gallery Crawl to showcase the best of what Downtown’s Cultural District has to offer. On the city’s East Side, the Penn Avenue Arts Initiative also holds a monthly gallery crawl called Unblurred: First Fridays on Penn. While it’s not technically open all year (it’s closed in January and February), the Go Ape Zip Line and Treetop Adventure, located in North Park, is a three-hour course featuring 1,400 feet of zip lines, tree-climbs and more. If you’re more a fan of geekier, indoors activities, The Steel City Con happens three times a year (April, August and December) at the Monroeville Convention Center. This pop-culture convention is full of toy and comics vendors, as well as celebrity appearances ranging from The Walking Dead’s Michael Rooker to the guy who plays the evil blond kid in the Harry Potter movies. The next show is Aug. 12-14. Pittsburgh’s a pretty cool place 365 days a year, but we really shine in summer, with lots of beautiful green space and plenty to do in it. If you dig the festival scene, June’s Three Rivers Arts Festival is 10 days of free music and art in and around scenic Point State Park. 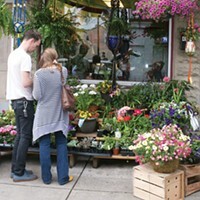 The Polish Hill Arts Festival takes place in July, and a month later, Shadyside offers The Art Festival on Walnut on Aug. 27-28, plus an installment in late May. The EQT Pittsburgh Three Rivers Regatta takes over the three rivers with boat races, live music and more on Aug. 5-7. And an hour north of the city in Butler County is Pyro Fest, billed as the country’s largest fireworks festival usually held on Memorial Day weekend each May. Also, for those who love bikes and cycling, the Pittsburgh Bike Fest is held Aug. 19-28 featuring bike-themed rides and events. For food and drink festivals you can’t beat the Heinz Field Rib Festival, Sept. 1-5, and the Pittsburgh Summer Beer Fest featuring plenty of beer, food and live entertainment every July. 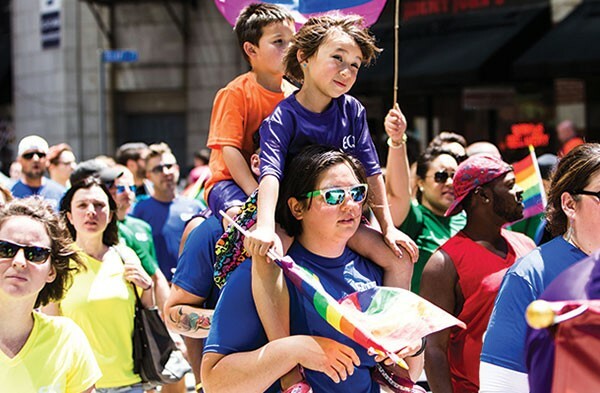 And every June, the city presents Pittsburgh Pride, a large-scale celebration of the LGBT community that includes three days of entertainment, a parade and community-awareness events. Movie buffs also have plenty to chose from. From June through August, Pittsburgh Citiparks offers free Cinema in the Parks at several parks around town. If you’re up for a bit of nostalgia, just one drive-in movie theater remains in close proximity to the city. The Dependable Drive-In (500 Moon Clinton Road, Coraopolis) features four screens and is open year-round. If you want a little more culture, every Sunday from June through August, Citiparks holds its annual Bach, Beethoven and Brunch (Mellon Park, Shadyside). Food is available for purchase, or bring a picnic lunch. If music is your thing, there is no shortage of events, either. The Allegheny County Summer Concert Series at South Park and Hartwood Acres offers a mix of national and local bands playing free shows from June through Labor Day. The Pittsburgh Jazz Live International festival brings jazz music to Downtown streets for three days in June. The Deutschtown Music Festival features more than 100 bands of various genres on stages on the North Side for two free days of music. And in August, the city’s hippest neighborhood gets into the act with Lawrenceville’s Rock All Night, which features 14 hours of live music from more than 100 bands playing, well, all night. This year’s installment takes place Aug. 12-14. And Shadyside’s Jam on Walnut puts on live concerts three times a summer beginning in June. This year’s final performance will be held Aug. 20. Other summer events of note include: farmers’ markets held all summer long by Citiparks, and every Thursday in Market Square; and, beginning in May, trips to historic amusement park Kennywood. And there’s no better time to “people-watch” Downtown than during Anthrocon, more widely known as the national Furry convention, held each July. From Sept. 9-11, the Craftsmen’s Guild of Pittsburgh will present its annual A Fair in the Park (Mellon Park, Shadyside) fine-arts and craft festival. On Sept. 3, Pittsburgh Shakespeare in the Parks begins its free, annual, month-long weekend performances in city parks. The Wizard World pop-culture convention (David L. Lawrence Convention Center, Downtown) comes to Pittsburgh Nov. 4-6. Two of the city’s longest-running film festivals also take place in autumn. ReelQ, the city’s LGBT film festival, takes place Oct. 6-15. On Nov. 6-15, the 35th installment of the Three Rivers Film Festival takes place. Finally, Pittsburghers love their Halloween. You’ll be able to tell by the large number of pumpkin patches and haunted attractions that pop up in October. All will give you a good scare, but a few to check out include: The Scarehouse, in Etna; The Hundred Acres Manor, in Bethel Park; Kennywood Phantom Fright Nights; and the Haunted Hills Hayride, in North Versailles. 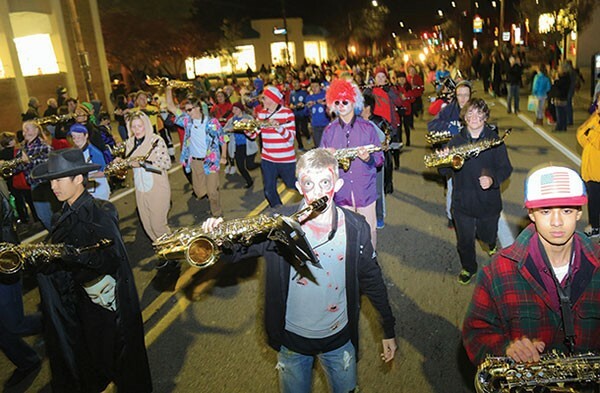 And for more than 45 years, residents from across the city have packed the streets for the Bloomfield Halloween Parade. Sure it will be cold; it’ll probably snow. But it will also be Christmas in the city, and that’s always a lot of fun. While most of the dates aren’t yet set for this year, the Downtown Pittsburgh Partnership puts on several holiday events. Highlights include Pittsburgh Light Up Night, on Nov. 18; a German-style Holiday Market starting Nov. 18 in Market Square; and outdoor ice-skating at PPG place, from November to March. Other annual holiday events include: The WPXI Holiday Parade, on Nov. 26; and The Pittsburgh CLO’s annual production of A Christmas Carol. Wrap up the holiday season with the Pittsburgh Cultural Trust’s family-friendly, arts-focused New Year’s Eve Party, First Night. 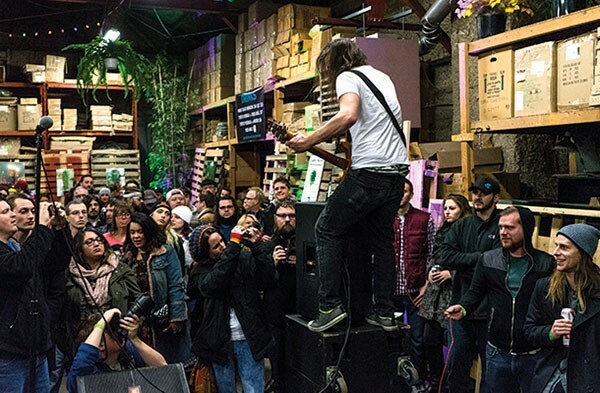 The third annual Strip District Music Festival will take place in January, featuring dozens of local bands playing at various locations. If you like to see the newest cars on the market, then the Pittsburgh International Auto Show is for you; the 2016 installment takes place Feb. 17-20. And finally, you don’t have to be Irish to take part in the annual Pittsburgh St. Patrick’s Day Parade held right around March 17. As of this writing, the Pittsburgh Pirates are struggling a bit, but after several successful seasons, we’re sure they can right the ship. 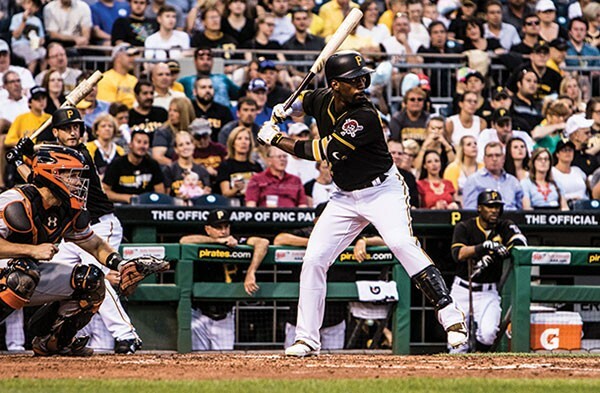 The 2017 season will kick off in early April, at PNC Park, on the North Side. They’re not the only game in town, however: The professional soccer team Pittsburgh Riverhounds play from March through September at Highmark Stadium, on the South Side. One of the city’s best art events takes place in Lawrenceville, usually in late April. Art All Night is a free-to-attend, non-juried art show that lasts nearly 24 hours. There is music, food, children’s activities and lots and lots of art. In May, the newMoves Contemporary Dance Festival takes place at the Kelly-Strayhorn Theater, featuring up-and-coming choreographers from Pittsburgh and around the country. Also in May is the Pittsburgh Fringe Festival featuring “adventurous and exploratory” performing artists. Rounding out the noteworthy spring theater offerings is the Children’s Theater Festival, which takes place for three days Downtown in mid-May. In the winter you went to the auto show, so in spring, check out the Pittsburgh Home and Garden Show, also at the David L. Lawrence Convention Center. The Pittonkatonk May Day Brass BBQ has been called “magical” and “a little hippie-dippie.” Whatever you call it, this grassroots music festival featuring brass bands from high school squads to touring combos is heading into its fourth year and keeps gaining in popularity. This city has too many food festivals to mention here, but one stands out every year and has been voted “Best Food Festival” by City Paper readers: The Greek Food Festival at St. Nicholas. If you’re a bargain shopper and happen to be in town on the third Saturday in May, you’ll want to check out the Regent Square Annual Yard Sale, sponsored by the Regent Square Civic Association. And finally, the city’s biggest event of the spring is always the Pittsburgh Marathon. The next race, which will take place on May 7, has grown to more than 30,000 competitors in recent years, and because of the city’s unusually hilly topography, it is one of the more challenging marathons in the country.